Boko Haram has seized the town of Chibok, in Borno state in northeast Nigeria, from where 276 schoolgirls were kidnapped more than six months ago, officials say. The April 14 kidnapping brought global attention to the armed group's five-year campaign to set up a state ruled by Islamic law in northern Nigeria. "Chibok was taken by Boko Haram. They are in control," Enoch Mark, a Christian pastor whose daughter and niece are among the 219 teenagers still being held, told the AFP news agency. Mark and Ali Ndume, a senator for southern Borno, said Boko Haram attacked at about 4pm local time (15:00 GMT) on Thursday, destroying communications masts and forcing civilians to flee. Ndume said that he had received calls from residents saying Chibok "was now under their [Boko Haram] control. There is no telephone service now in Chibok, which is why it took time before the reports reached me". Mark said the attack on Chibok, an impoverished town, appeared to come after Boko Haram overran the towns of Hong and Gombi in neighbouring Adamawa state following the group's removal from the commercial hub of Mubi. "They came in and engaged soldiers and vigilantes in a gunfight," he said. "Some of us managed to escape. All the telecom towers in the town were destroyed during the attack with RPGs [rocket-propelled grenades]. "No one can say what the situation is in the town in terms of destruction to property." Al Jazeera's Ahmed Idris, reporting from Abuja, said tackling Boko Haram was proving difficult for the Nigerian military. "Plans are under way to retake Chibok, but the military is facing its own difficulties fighting ongoing battles with Boko Haram all over the place," Idris said. "The fighters have staying power: when they took over Mubi, they were driven out only when vigilantes came together to force them to withdraw." Boko Haram also has access to heavy weaponry, Al Jazeera's Idris said. "It is hard to say whether or not the authorities will be able to cut off the supply lines, because it is difficult to know where Boko Haram get their weapons." Boko Haram fighters stormed the Government Girls Secondary School in Chibok on the evening of April 14 and forced students onto lorries in a mass abduction. Nearly 57 managed to escape. Five others were injured in the explosion caused by what officials described as a high-calibre device. No one has claimed responsibility for the attack, but police suspect it was carried out by Boko Haram, who have targeted the city several times before. Last Monday, 58 boys were killed when a suspected Boko Haram suicide attacker detonated explosives at a school in Potiskum in Yobe state. President Goodluck Jonathan recently announced his intention to run for another term in office. He is pledging to vanquish Boko Haram and bring security to the country. 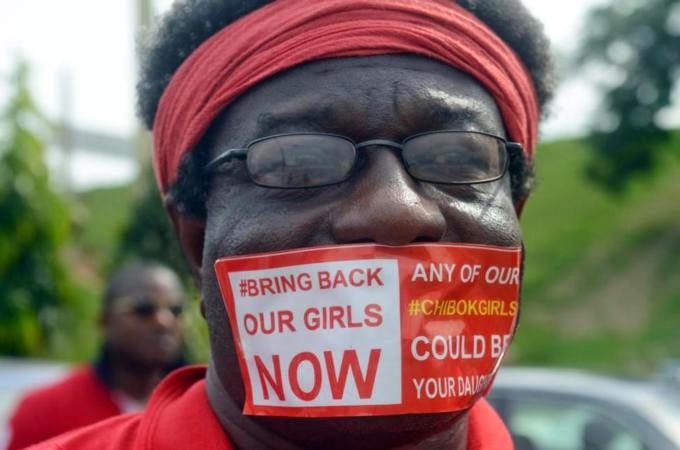 His government has been heavily criticised for its response to the mass abduction, its failure to free the girls as well as its apparent inability to protect its citizens from Boko Haram.